In all, the series attracted 420 players, both American and international, and coaches from 270 men‘s and women’s collegiate tennis programs at all NCAA divisions. DTS recently wrapped up its 2015 College Exposure Series with the 3rd DTS Recruiting Tournament held at Harvard University. The 10th annual DTS Southern California Showcase was held in January at the Claremont Colleges in Claremont, CA, and the 15th annual DTS College Prospects Showcase was held in at Yale University in New Haven, CT. In all, the series attracted 420 players, both American and international, and coaches from 270 men’s and women’s collegiate tennis programs at all NCAA divisions. 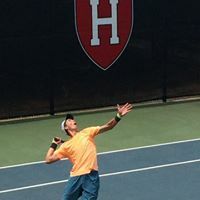 These college exposure events prove to be an invaluable resource for the student-athletes, 98% of whom go on to play college tennis, and the coaches who are recruiting the right players to join their future squads. The two Showcases offer participants an opportunity to play in 3 singles and 2 doubles matches in front of coaches without results affecting TRN or USTA rankings. The Recruiting Tournament is a singles-only event, with the results counting for players’ tennisrecruiting.net (TRN) rankings and Universal Tennis Rating (UTR). The Recruiting Tournament is a compass draw format, insuring that all players compete in four matches in front of coaches, regardless of their win-loss records. All of the events in the College Exposure Series are “recruiting friendly”. 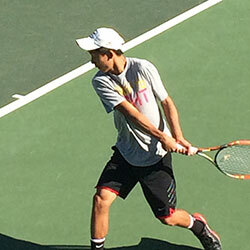 A player profile is compiled on all participants so coaches, prior to the event, have the contact information on players, the high school they attend, their GPA, their standardized test scores, the area of study they are interested in pursuing in college (if known), their ranking information (both USTA and TRN), and their UTR. All players wear their names prominently on their backs so coaches can easily identify players on the court. Coaches also have the match-ups for the day and court assignments are easily accessible so that they know where to find players they are targeting. DTS spends an inordinate amount of time trying to create the most competitive match-ups among a field of players that can represent as many as 27 states and 12 foreign countries, with levels of play ranking from blue-chip to 1-star. College coaches appreciate this effort that often results in highly competitive matches which can give a reliable assessment of players’ games and insight into the less-tangible elements of play that coaches are paying attention to, as well. The schedule for the 2016 DTS College Exposure Series is set and registration for the first event and more information on all events will be available on our website in late September. The first of next year’s series will be the Southern California Showcase held at the Claremont Colleges, January 2-3, 2016. The DTS Showcase at Yale is slated for July 1-3, and the DTS College Recruiting Tournament at Harvard is scheduled for July 23-24. Camps on College Campuses Verbal Commitments – What are They Really?